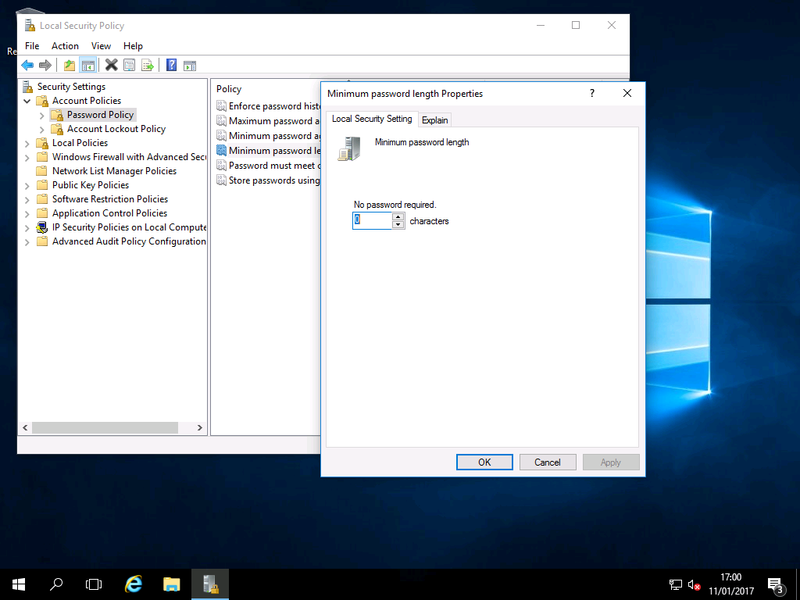 Disabling Strong Password Enforcement – Windows 2016 & Wndows 2019 Workstation! 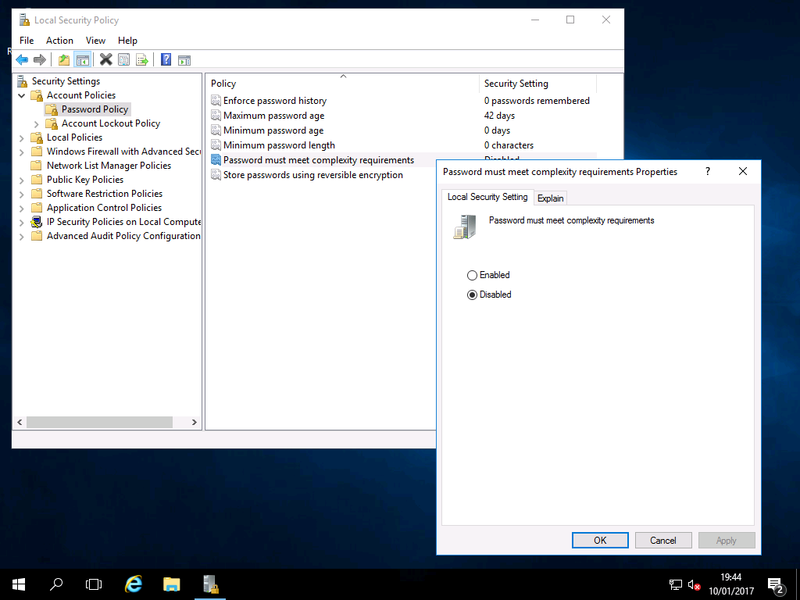 By default Microsoft Windows Server 2016 enforces users in the Administrators group to use strong passwords. Home users often just want to create their own passwords or leave even them blank. 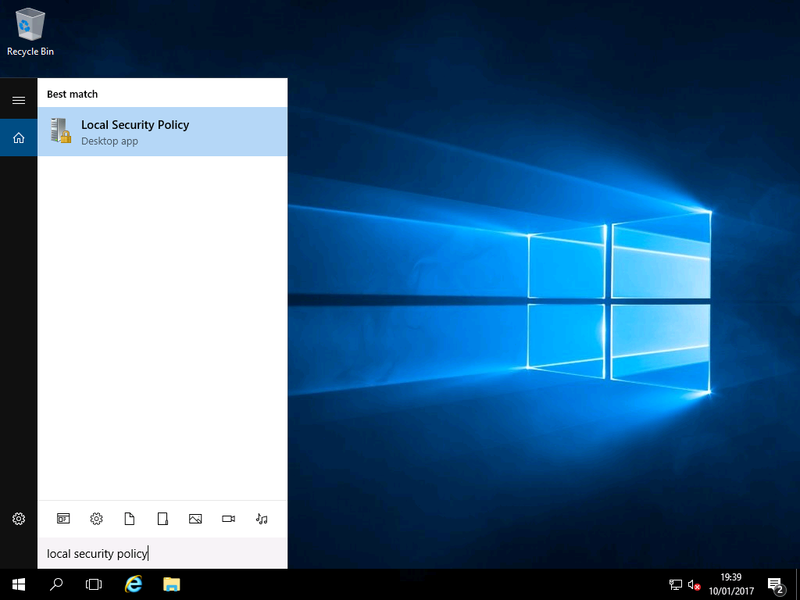 To do this, you need to change a policy on the machine. 4) You may even wish to use your computer without a password. If so, make sure “Minimum password length” is set to 0 characters. This is greyed out for me. Thoughts?